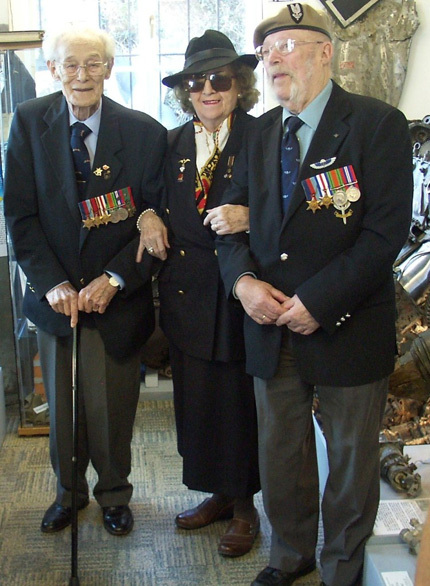 It was a great delight to welcome a trio of veterans to the Museum who helped to (in the words of Winston Churchill) “Set Europe Ablaze” in WW2. Harry Verlander (Special Operations Executive), Alec ‘Boy’ Borrie (Special Air Service) and Denise Edwards née Franck of the Belgian Resistance, proved very entertaining and enlightening about their experiences in Nazi-occupied Europe. Also visiting were two RAF air-gunners, John Waye and Ron Liversage. John flew in 4-engined Liberators on long-range bombing sorties in the Far East, his record flight being 14 hours cooped up in a cramped gun-turret. 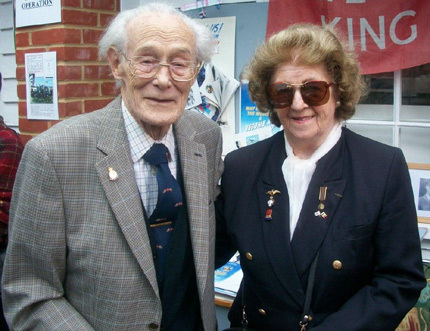 During the closing stages of hostilities in Europe, Ron took part in ‘Operation Manna’, dropping food to starving Dutch civilians; several years ago at a commemorative event in The Netherlands, Ron was introduced to a Dutch gentleman who was a young boy back in 1945 who had taken note of the code-letters of one particular RAF Lancaster that dropped food to him and his neighbours. The code letters belonged to the very Lancaster in which Ron was flying on that occasion all those years ago. The event raised £150 for the Royal British Legion. 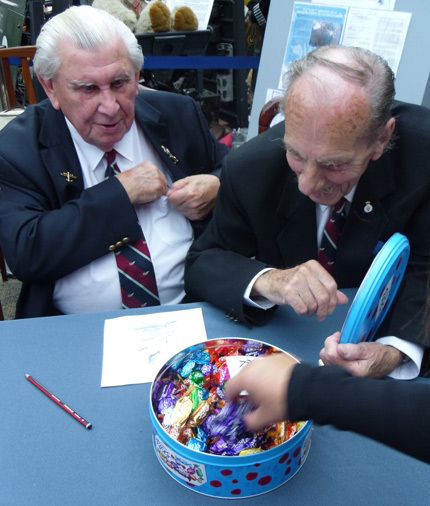 On Sunday 30th September 2012, the Museum enjoyed one of its busiest days of the season for a ‘Bomber Boys’ signing event. A wonderful turnout by six RAF veterans ensured a very successful day. 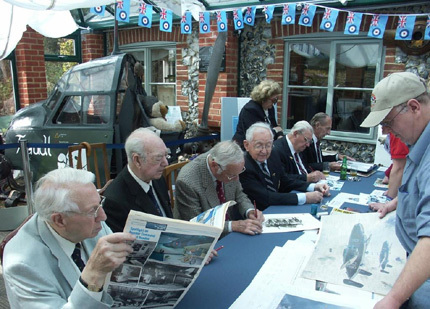 Visitors who came to meet with, chat and have personal items signed were delighted to be in the company of Tony Iveson DFC, Sid Beaver DFM, Ken Fowler, Sam Brookes, Joe Cook and Ron Liversage MBE. Thanks to their efforts and visitor numbers, the magnificent total of £1,000 was raised for the on-going Bomber Command Memorial Fund, so a combined thank you goes to the veterans themselves, visitors and Museum volunteers for helping to make the day such a success. One moment of distraction from signing prints came when a tin of chocolates was produced, resulting in a ‘frenzied’ hand grab for the softer centres! A special surprise treat occurred when our SOE veteran friend Harry Verlander called in to say “hello” and met with Denise Edwards née Franck, veteran of the wartime Belgian Resistance – two heroes who fought back on the ground against the Nazi occupation of Western Europe . It is hoped to hold a signing event with Harry and Denise very soon during mid-October, so please check the website homepage for details once available. You are currently browsing the Shoreham Aircraft Museum – News archives for October, 2012.